Through film and sound, wedding videography can capture not just images, but entire moments in time. Wedding videography in San Diego is the perfect complement to traditional photography because it allows your experiences to be remembered and cherished in an entirely different and powerful way. Ask anyone who is married, and they’ll tell you that a wedding day passes by in an instant. While you’re busy saying your vows, greeting family and dancing the night away, there may be many little moments between guests that you’ll miss. Your videographer has the ability to capture important, unseen moments such as your guests arriving, your significant other getting ready, the looks on your faces as you say “I do,” and the dance moves at your reception. In your video you can hear the well wishes of your loved ones and be happy knowing that all of the hard work you put into your day will be documented and remembered forever. Wedding videography allows you to relive the most important moments of your wedding day. Through your video you will be able to not only see, but also hear the emotion behind your vows and the inflections in your voice as you recited them to each other. Your video will also enable you to cherish moments throughout your day that you weren’t expecting. If your wedding party’s speeches made the reception hall burst into laughter, or your grandparents’ dance brought a tear to guests’ eyes, you will always be able to keep those memories with you. Additionally, wedding videography lets you see and hear how the most important people in your life celebrated your day. Often photographs focus on the married couple and the closest members of their wedding party. Video has the power to depict a complete picture of how all of your guests participated in your wedding. You’ll see not only how guests interacted with you, but also how they celebrated with each other. Through your video you’ll capture their silliest dance moves and happiest smiles. Working with a wedding videographer allows you to have a tangible keepsake of the most important day of your life. Throughout the years of your marriage, you’ll be able to look back on your day and reflect on the love you felt. Your video will also provide you with a way to share these memories with others. If a loved one wasn’t able to attend the celebration, they can still enjoy watching you get married through your wedding video. Perhaps most importantly, wedding videography allows you to pass down the memories of your day to your future children and grandchildren. Wedding videography in San Diego captures the most important memories from your day and gives you the opportunity to relive your experience, exactly as it happened, for years to come. If you are looking for professional wedding videography in San Diego, speak with a skilled filmmaker at Taylor Films for more information on preserving the priceless moments of your celebration. Seek client reviews and testimonials: The best way to start your search for a wedding videographer is by asking those with experience in the industry and other married couples. Your wedding planner, venue and your married friends will be able to give you first-hand recommendations based on their own experiences. If you’re searching online for a videographer, be sure to check each website for couples’ testimonials that describe what to expect as a client. 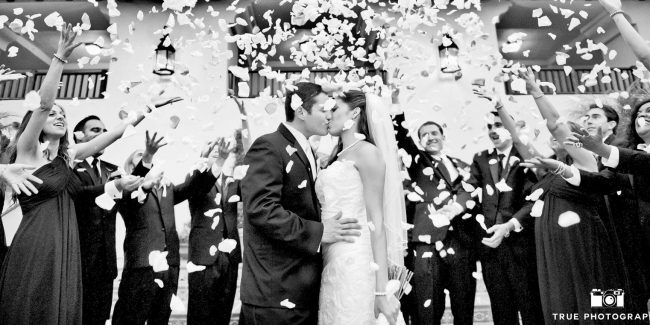 Pursue your vision: Wedding videographers are as different at the couples that they film. It is essential that you explain your preferred wedding video style to any videographer who you may consider using. Take a look through their portfolio and ask about how their approach works with what you have in mind for your special day. Whether you’re looking for a natural or more stylized approach, videographers should be able to describe their style to you in a quick and simple way. You’ll want to find a videographer that shares in your vision so that on your wedding day you can focus on celebrating, and know that your video is in good hands. Ask your most important questions: Wedding videography is an important investment that involves placing a lot of trust in one professional. Don’t be afraid to decide what parts of your wedding video are most important to you, and then ask a videographer how they would address these items. Questions about the number of videographers present, highlighting the most important parts of the day, pricing packages and final product turnaround time can differ for each videographer. It’s important to know going into your wedding that your priorities are being properly handled. Get technical: The type of camera and sound equipment that videographers use can affect the style of your wedding video and even impact the events of your wedding day. Hold a discussion with your videographer about what equipment they use and how they select video details such as musical overlays. You will also want to ask how each videographer plans to deliver your finished video, and what the policies are for purchasing more copies should your originals become damaged or lost. By taking these tips into consideration, you will be able to have open discussions in your search for a wedding videographer, and ultimately know that your wedding video is in the hands of a trusted professional. Working with a wedding videographer in San Diego will allow you to look back and cherish the moments of your wedding for years to come. If you are looking for a skilled wedding videographer to film the story of your wedding day, contact Taylor Films in San Diego for more information. In the weaving of a cinematic story, music is the thread that holds it all together. You don’t have to be a movie or music junkie to appreciate the impact of an amazing soundtrack or musical score on a film. Some movie soundtracks are so iconic that just looking at an image from the film can trigger the humming of a familiar tune. Because we at Taylor Films are geeked about movie making, we understand that movies are not a singularly visual experience; they are emotionally tied to the music as well. Using music in your wedding video is no different. The song will set the tone of the story and take the viewer/listener on a journey. Selection is a significant part of the editing process. Not only must the music match the musical tastes of a couple, as well as the feel of the event, but it has to be legally purchased. This is where you can get into tricky territory if you aren’t using a reputable videographer. Music used in your wedding video has to be royalty free or the copyright has to be purchased. Even though wedding videographers have been using popular copyrighted music in their product for years, the dawn of the Internet, You Tube, Vimeo and Facebook gave sudden viral popularity to wedding videos. It also gave music licensing companies an easier ability to crack down on illegal commercial uses of music. So while your favorite tune or the first dance song is definitely on the A side of the soundtrack of your life, choosing music to accompany your wedding video will need to be original, unless you are willing to pay for the rights (starting at around $15,000). Don’t fret. Original music (and even some mainstream songs) is available at sites like www.songfreedom.com, which makes it easy for couples to choose an independent artist and a song that feels written just for them. Providing Fine Wedding Videography in: San Diego, CA Fallbrook, CA La Jolla, CA Coronado, CA La Mesa, CA Rancho Santa Fe, CA Orange County, CA Los Angeles, CA San Francisco, CA Sacramento, CA Just to name a few... Taylor Films has created unforgettable films for weddings across the United States and even internationally.